This year, our families have been challenged to become “intentional includers”, work that seems ever more important in our country and in the world. We plan to act on that challenge by partnering with RefugeeOne to co-sponsor a refugee family resettling in Chicago. ​RefugeeOne was founded in 1982 with the mission of creating opportunity for refugees fleeing war, terror, and persecution to build new lives of safety, dignity, and self-reliance. With the help of volunteers, RefugeeOne assists approximately 2,500 refugees and immigrants of all ages, ethnic groups, faiths and backgrounds to find housing, learn the English language, acclimate to American culture, develop computer and job readiness skills, secure employment, obtain medical and other care, apply for citizenship, and develop overall family strengthening skills. Setting up an apartment with furniture, household essentials, toiletries, and groceries. Welcoming the family at O’Hare and providing a hot meal upon their arrival. Meeting weekly for the first six months to provide encouragement, language and job search assistance, tutoring for school-aged children, and help adjusting to a new city and culture. Raising $8,000 to provide for rent and expenses in their first six months. Please help us to reach out to a family seeking refuge in our city. Any donation is greatly appreciated and will directly benefit this family as they settle in our community and seek to become self-sufficient. Select one of the buttons to make a secure donation using PayPal. Your generous donation will help with rent, food, transportation, home supplies, and other essentials for the refugee family. A refugee is someone who is forced to flee or leave their country due to persecution, conflict, or war. There are more than 21 million refugees in the world! Less than 1% of refugees are resettled in a third country. 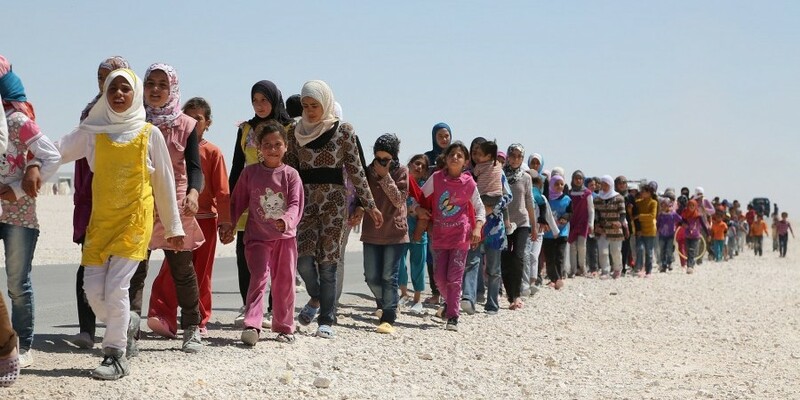 The U.S. is expected to take 110,000 refugees this year. RefugeeOne is expected to resettle more than 900 refugees this year. Refugees come from many countries around the world such as Burma, Iraq, Bhutan, The Democratic Republic of Congo, Somalia, Sudan, South Sudan, Syria, Ethiopia, and Afghanistan. The United States takes 18 to 24 months on average to carefully vet each applicant to make sure he or she poses no security risk. Spread the word by forwarding this link!